Bricks and mortar retailers have been hardest hit by the popularity of one particular herculean online retailer. The challenges of competing against the appeal of things like free shipping, door-to-door delivery and overnight delivery have proven to be almost too much to keep brick and mortar retailer doors open. Iconic retailers like Sears and Kmart have had to shutter hundreds of stores across the country due to the lack of sales. If you are like thousands of other brick and mortar retailers and you’re seeing the danger signs of impending closure, take steps before it’s too late. There are lots of things you can do right now to save your brick and mortar retail business. Customers can detect trouble as soon as they step through your business doors. The problem with that is, as soon as customers get a sense that you’re having trouble, they mentally devalue your merchandise. That makes them less likely to buy from you. Empty shelves are a surefire sign that you can’t afford to buy enough inventory. Keep shelves fully stocked. If you have to, consolidate merchandise and shelving and fill up empty floor space with seasonal displays that make your store look more inviting. You may not be able to offer all the convenience of a giant online retailer, but you can appeal to consumers’ desires to shop on their mobile devices. Pay for an app to be developed for your store. You can use the app to build store loyalty, offer special discounts and bring customers into the store during certain sales. In these days of technology frenzy, you need to give the customers what they want in terms of mobile shopping capabilities. When you have to tighten your belt, one of the first things to go is often extra staff. Payroll is often the biggest expense with any business. But letting too many employees go is s big mistake that could be the final straw for your brick and mortar business. It’s important to realize that the single most powerful weapon you have against online retailers is personal service and attention. Once you give that up, there’s really no reason for a customer to buy from you. Too many brick and mortar retailers sacrifice staff; then when customers do come in there’s no help to be found anywhere. That’s terrible for business anytime, but especially if you’re already losing business to online mega stores. Instead, cut payroll by pulling back to part-time, which will help you save on benefits without having to sacrifice excellent customer service. Keep customers engaged with in-store demonstrations and hands-on projects. Teach customers how to use one of your products or show the many uses of something you sell. These kinds of demonstrations enrich your customer’s interaction with your store and will help keep them coming back for more. Take a proactive approach to saving your bricks and mortar business. 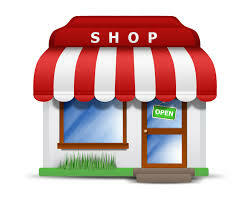 Your retail store has a lot to offer that an online retailer will never be able to give customers! The post How to Save Your Bricks and Mortar Business appeared first on Real Wise.